* The finest in miniature craftsmanship! 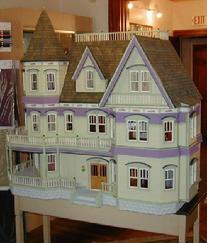 "Because we don't just build dollhouses, we create works of art!" Browse our custom gallery , find out about the artist , or contact our custom shop today for the best in miniature creations & custom projects.